Heat oil. 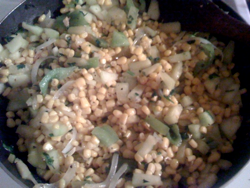 Add cumin seed. About 10 seconds later, dd rest of the ingredients all at once. Stir and cook on high heat for a minute—NOT more. Cool. Add sour cream. Chill. Heat oil in large wide skillet. Add onion and garlic. When garlic turns light brown, add cumin, fennel pepper and parsley. Stir for about 10 seconds (Make sure the cumin doesn’t burn.) Add the rest of the ingredients on medium heat. 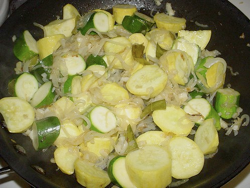 Cook until zucchini is soft and the dish is almost dry. Serve over brown rice. Grilled pepper-lemon chicken goes great with it. 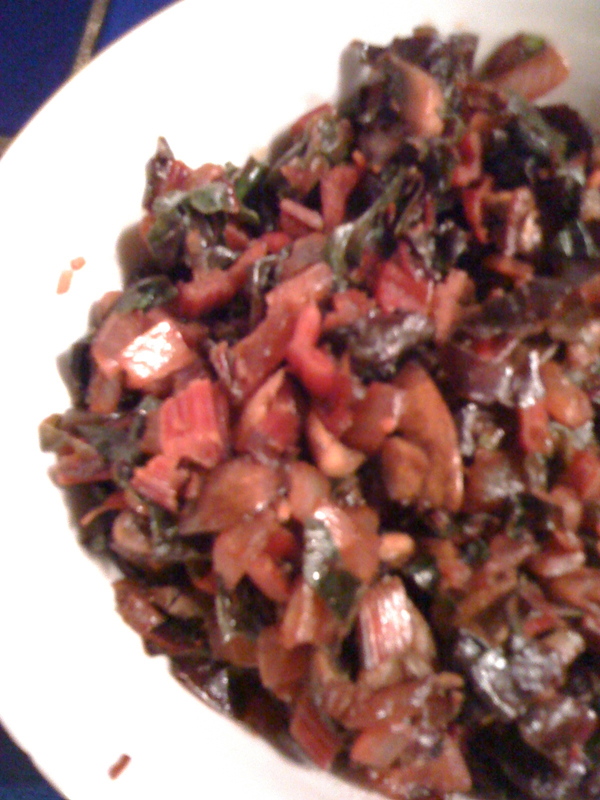 * I got 3 cups of diced zucchini from 1/8th of the one-half zucchini that my friend Lorraine gave me. My one-half portion measured 12 inches long and 5 inches in diameter. That was a zucchini on a major hormone therapy.